A long, refreshing sour Gin Cocktail. The addition of a 1/2 shot of sugar syrup, harks back to the early 19th century where Gin Punch such as Old Tom Collins Gin was much 'sweeter' than the gins of today, such as London Dry Gin. Gin, lemon and soda water over ice provide a beautiful cooling, refreshing and long summer drink. Place the first three ingredients into a Cocktail Shaker (Boston can) and SHAKE well. Steain in to an ice filled Collins glass. Top with soda (Club Soda) and gently stir all the ingredients. "Conduit Street itself had a number of hotels during the late 18th-early 19th century, including Limmer’s, the dirtiest hotel in London according to Captain Gronow, despite being a favourite of the rich squirearchy." In the early 19th century 'Gin Punch' was an extremely popular drink. 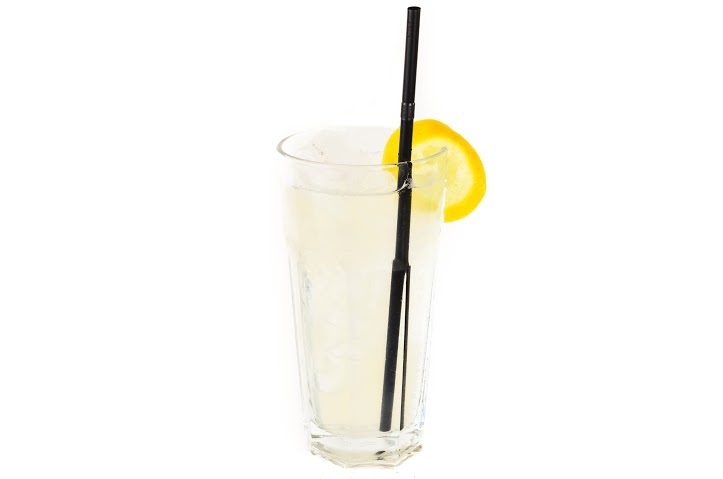 It is thought the original Tom Collins was made with Old Tom Gin (a sweetened London Gin) whereas The John Collins Cocktail, was created using a Dutch Gin called Jenever. There is a difference between the three - try them for yourself! Today The Tom Collins Cocktail is almost universally created using Dry London Gin. Add a 1/2 shot of simple sugar syrup to experience something similar to the original. This Cocktail glass also known as "The American Style Casablanca Tumbler Glass" is, as the name implies made popular in Cocktail bars throughout the USA. The style, ruggedness and 'different shape' has now transcended the world's finest and best Cocktail bars as a 'standard' Cocktail glass. Holding a full 13oz, it is a popular glass for many types and varieties of cocktails.